My report on smart cities, privacy and data security was launched on Thursday in the Dublin traffic control room by Dara Murphy T.D., Minister for European Affairs and Data Protection (available here). It was commissioned by the Data Protection Unit, Department of the Taoiseach (Irish Prime Minister) and is the first publication by the new Government Data Forum, a panel of experts drawn from across industry, civil society, academia and the public sector. There was some media coverage on the Six One news on RTE1, KFM, the Irish Times, Silicon Republic and Irish Tech News. 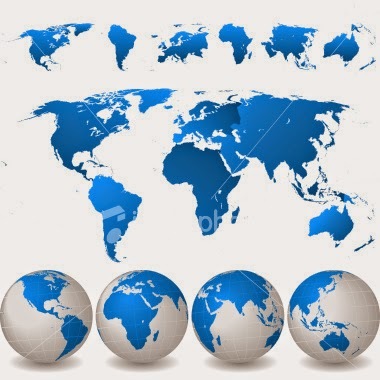 I've tried to be as comprehensive as possible in the analysis and to detail lots of examples of good and bad practice, as well as set out a suite of solutions to improve data privacy and security. Take a glance if you want to see how much data are being generated about you and what happens to it. ‘What’s his story?’ Joyner asked. The man was sitting on a veranda, a gun resting in his lap, his gaze a thousand yard stare. Midsummer in Stavern, Norway, and a severed left foot wearing a running shoe is washed up on the shore. Shortly afterwards another severed left foot is discovered. Chief Inspector William Wisting is placed in charge of the case. 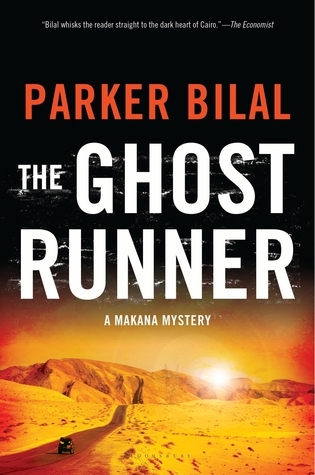 His team quickly make a connection between the feet and four elderly people that disappeared months ago, but cannot identify a reason for their disappearance or why their feet are now suddenly appearing. Wisting’s boss has applied for promotion and wants a quick result and plenty of media coverage. In contrast the detective wants a careful examination and surety, but with the pressure rising he tries to quickly discover clues that will reveal why the victims were killed and the identity of the killer. 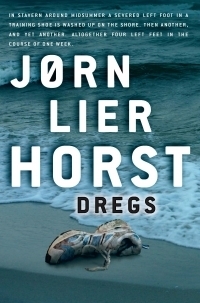 Dregs is a straightforward police procedural that is very much in the Scandinavian style – a relatively dour detective, an understated narrative with close attention to detail, and realist in its depiction of police work and society. The plot works at the level of carefully revealing the solving of a puzzle rather than being driven by action and tension. Dregs starts at a relatively sedate pace, slowing moving pieces into place, and it’s only as the telling progresses that the extent of the puzzle and intricacies of the plot is revealed. The result is an intriguing tale, with a nice denouement and explanation concerning the discovery of four severed feet that sit at the heart of the story. There is also a strong sub-plot in which the main detective’s journalist daughter is writing a feature about six people who have been released from prison after serving a sentence for murder, which sets out some interesting questions about justifiable homicide and regimes of punishment. I've already posted about my 2015 reads, but another way of glancing through my reviews can be found at Goodreads, which also provides a few stats. Apparently the 99 books I read totaled 29,801 pages. ‘Who?’ Bobowski asked looking up from a ball game. ‘Either way we’re fucked,’ Bubowski said. A story is a drabble of exactly 100 words. Last week: meetings, email, repeat ad nauseam. Ditto next week. Thank heavens for books. 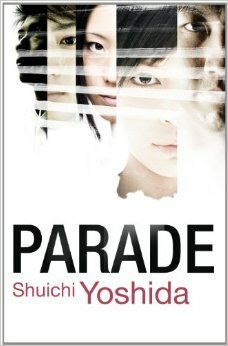 Between the endless hours of ad nauseam I lost myself in Deon Meyer's 7Days, Shūichi Yoshida's Parade, and Nic Pizzolatto's Galveston. Reviews coming shortly. There’re times when you think you might die, then there’s that moment when you just know. Like when one drifts into consciousness to find limbs bound and a noose being slid into place. There’re only two responses, struggle or acceptance, but the result is still a long drop to hell. I let my legs collapse under me then thrust up, my shoulder snapping the guy’s mouth shut. Using the tension in the rope I kicked his legs out from under him, then jumped and landed on his neck. His snapped, mine choked, and we shared the moment of the damned. Four patients and their psychotherapist gather in a former church in Warsaw for a weekend of family constellation therapy. The morning after the first night, Henry Talek is found dead having had a skewer jammed through his eye into his brain. State prosecutor Teo Szachi is given the task of investigating the case, quickly surmising that one of the attendees is the murderer rather than it being committed by a disturbed burglar or suicide. The problem is that there is no obvious suspect or motive. Laboriously he sets about his investigation trying to get a sense of the victim, his family, and the other attendees of the therapy. In the meantime, he struggles with his sense that he’s trapped in a low-paying, high-stress, thankless job and rapidly souring marriage, dallying with starting an affair. As he slowly makes progress, it starts to become clear that there is more at stake than solving the death of Talek and there is more threatening his family than a fling with a journalist. This book has been on my to-be-read pile for quite some time and I've made a start on it three or four times, but never made it past the first twenty pages or so. The story and the lead character just never got me hooked enough to continue. This time round I pushed through and by a third of the way in I was intrigued enough to finish the book. That said, I never warmed to the lead character, Teo Szachi, a misogynist state prosecutor who seems to be having his mid-life crisis at thirty five. I also didn’t buy how he stumbled on the background story, nor the intricate way the case was tied together, the use of family constellation therapy, or the denouement. It all seemed so improbable. 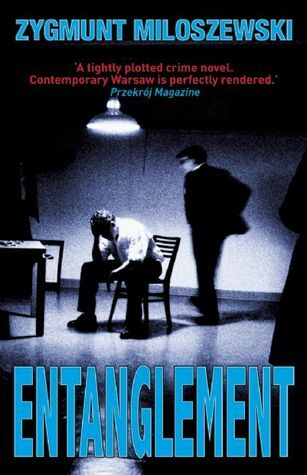 The background story was however interesting as was the procedural elements relating to workings of state prosecutor’s office, the story did gain pace and tension, and Szachi’s boss and police colleague enlivened things. Overall, an improbable police procedural that has some nice touches. Leo Harting, second secretary in the British embassy in Bonn, has gone missing and he’s taken forty three top secret files with him. The embassy is already in a flap given tensions with the German civil service and politicians about negotiations in Brussels for British entry to the European Union and British involvement in post-war German affairs. An anti-British rally is scheduled and security and tensions are high. The last thing senior officials need is Alan Turner, a hard-nosed spycatcher who doesn’t care for class-divisions or subtle diplomatic relations. Turner starts uncovering information that nobody seems to want revealed and resistance to his presence grows. As his investigation progresses he senses that this is no ordinary defection, but forces are conspiring to deny him the truth. 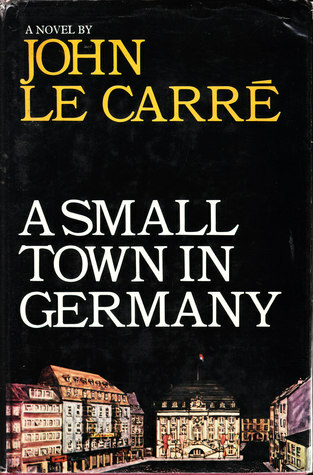 John Le Carre is in fine form in A Small Town in Germany, a tale charting the hunt for Leo Harting, a pre-war refugee to Britain who has worked his way up through the ranks of the post-war British army and then inveigled his way into a career in British embassy in Bonn before disappearing with forty three top secret files that could cause serious political ructions if they came to light. Sent to find Harting and the files is Alan Turner, a security officer who is direct, rude, bloody-minded, and working class, who seems to delight in treading on the toes of the senior, upper-class embassy staff. Le Carre uses Harting’s disappearance and Turner’s investigation to examine a whole series of themes including Britain’s role in post-war Germany, European diplomacy and hypocrisy, the workings of the British foreign services and its classed-riddled structure, German post-war politics, and the thorny relationship between truth, justice, political relations and the ‘greater good’. The characterisation and the interactions between characters are excellent as Turner slowly forces uncomfortable truths into the open. In terms of the telling, the tale has a somewhat ponderous start and sometimes drifted into oblique literary asides, however the overall effect is a thoughtful, layered tale, full of subtle digs and twist and turns that has a very nice denouement - it is a thriller with a small t, a battle of wits rather than a swashbuckling, action-adventure. Overall, a superior spy tale. I picked up my first new books of the year from the local bookshop, The Reading Room, yesterday. A nice selection of books. 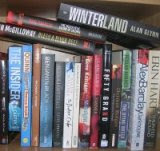 All from authors I've read previously, with the exception of Nic Pizzolatto and Michael O'Higgins. Oddly, the four books by female authors - Jane Casey, Eva Dolan, Claire McGowan and Malla Nunn - I'd ordered hadn't yet turned up, so it's a very masculine pile (for now). Looking forward to reading these in due course. 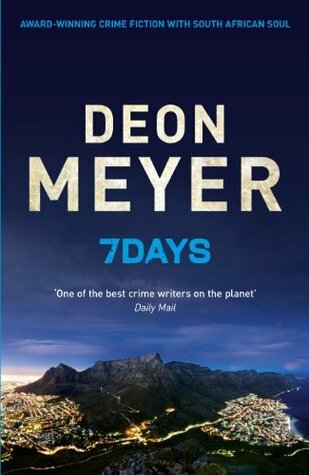 I'm just making a start on Deon Meyer's 7 Days. ‘You’re saying Greg is a better dancer?’ Tom asked, not hiding his frustration. Detective Sergeant Timo Harjunpää of Helsinki’s violent crimes unit is having a rotten time. He’s working the understaffed night shift and is constantly tired, he’s managed to get the wrong side of his bosses, a member of the public has put in a conduct complaint, he’s fallen in love with a colleague, and his long-lost, half-senile father has turned up and moved in. To add to his woes he’s been given the task of tracking down a peeping tom who’s also an expert lock pick who lets himself into women’s apartment in the small hours to watch them sleep. Every time he’s been spotted he’s managed to get away, leaving the women unnerved and some wondering whether he was every really there. Tweety is a loner, living somewhere between reality and fantasy. He’s also part of a criminal family. He might be naïve about some aspects of the world, but he knows how to remain elusive. It doesn’t help that the cop in pursuit is constantly distracted and hampered in his task. 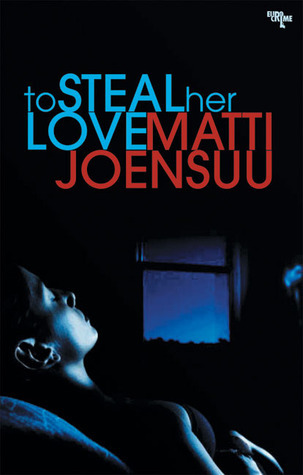 To Steal Her Love is a police procedural set in Helsinki, though not a mystery in that the reader knows the culprit from the start. Indeed, Joensuu’s narrative is divided into two strands. The first charts the half-real, half-fantasist world of Tweety, a young man obsessed with beautiful women, but who is unable to approach them, instead breaking into their homes in the middle of the night to watch them sleep. When he’s not doing that he’s hiding from his domineering mother, working as a cobbler, or helping his brothers to rob banks. The second strand follows the home life and work of Detective Sergeant Timo Harjunpää of Helsinki’s violent crimes unit. Harjunpää is a stoic cop who grinds out results, and is torn between two women. Both strands are very nicely written and interwoven. Joensuu has an eye for characters and how they’re bound together in awkward relationships and conflicts, as well as the institutional politics and personal power games of the police (he was a serving police officer for many years). While the narrative seems to drift along and seems quite sedate, there’s actually an awful lot going on within the strands and subplots (some of which are not resolved). The result is a nicely written, layered tale that tells a compelling and engaging story. Fascinated by the life of long-time family friend, Sara Guterman, a Jewish German immigrant who fled to Colombia in the late 1930s, Gabriel Santoro writes a book about her experiences of exile and making a new life. His book, however, is not favourably received by his father, a famous professor of rhetoric and law, who publishes a scathing review in a national newspaper. The book and review places their relationship under strain and when his father dies not long after Gabriel investigates the source of his father’s wrath, tracing it back to a secret from the Second World War and the treatment of the German community. 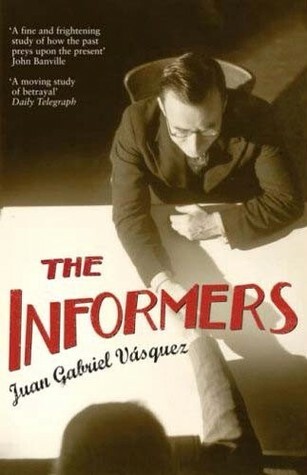 The Informers is a reflexive novel that explores a little known period of Colombian history when many Germans living in the country were blacklisted and interned at the insistence of the United States and its subsequent effects. Using a plot device of a falling out between father and son over the publication of a biography of a family friend – a German Jew who fled to Colombia in the 1930s – Vásquez’s narrative charts three intertwined family histories: a Jewish German family who has fled from Nazi Germany to start a new life in Columbia; a German-Colombian family who is severely affected by internment; and a Colombian family who were initially friends of both German families. The father and son belong to the latter, with the son keen to understand the history of the families, while the father would prefer the past remains largely forgotten. While the story is interesting and at times nicely written, Vásquez’s style was not to my taste, with the storytelling being overly reflexive, often to the point of navel gazing, and the pace slowing to almost a standstill at times. My sense was that it could have done with a good edit and it would have been more engaging if it had included more personal interchanges (the dialogue between characters is by far the best bits in the telling). Overall: interesting for the history, but fairly hard work to wade through despite the often nice prose and philosophical observations. I read and reviewed 99 books in 2015. Here are my favourite fiction books read in 2015 (5 star reviews). For full reviews of each book click on the links and to see all 99 reviews click here. 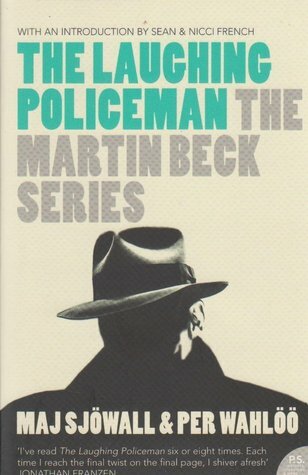 In my opinion The Laughing Policeman a masterclass in how to write a realist police procedural novel that does not rely on coincidence or plot devices to move the story along, nor does it concentrate on a non-conformist, lone cop (plus sidekick) who singlehandedly solves the case whilst coping with all kinds of personal issues. Instead, the case is solved through patient, diligent investigative work by a team of cops, involving a lot of footwork, collaboration, probing, leaning on informers, petty criminals and suspects, and wandering down blind alleys. The story is completely gripping as the dyspeptic Beck and his team inch towards solving the death of their colleague and eight other passengers shot late at night on a Stockholm bus. 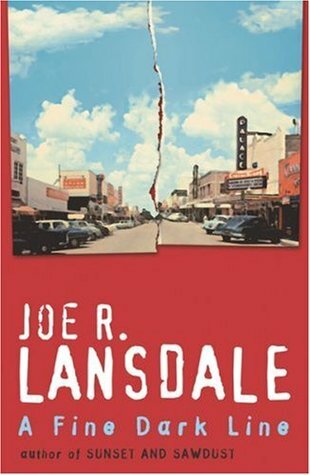 A coming of age tale set over the summer of 1958 in town of Dewmont, East Texas. The voice is pitch perfect and Lansdale drops the reader into the world of an innocent thirteen year old boy living in a liberal family in a socially and racially divided society as he learns of the world’s various vices, some of its terrors, and how to survive them. The characterisation is excellent and there’s a clear sense of character development as the story unfolds. Where the tale really excels is the sense of place and time, and the plot. The result is a taut, tense mystery that is vividly told and keeps the reader engaged and guessing until the final page. I thought it was a wonderful, poignant and riveting read. A wonderfully emotive tale underpinned by strong character development and observational philosophy. 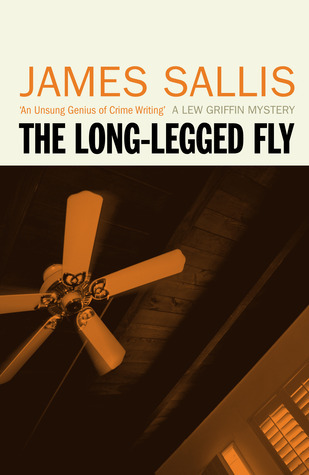 Sallis’ narrative subtly explores race and gender in the Deep South, and reflects on the intricate webs of social and political relations and histories people are bound up in. Sallis revels in the question ‘what does this all mean?’, with Griffin looking for answers on the street and the bottom of a glass. The prose is a joy to read. What separates McIlvanney’s crime fiction from most is, I think, its literary sensibilities. While his stories are very much of the crime genre and are dark and gritty tales, they are crafted with prose and are rich in philosophical reflection. In Strange Loyalties Laidlaw is trying to come to terms with the untimely death of his brother, picking away at questions that no-one wants answered except him. While it's not the most cheery of tales it is compelling and haunting with Laidlaw seeking a truth that he knows he does not want to know. 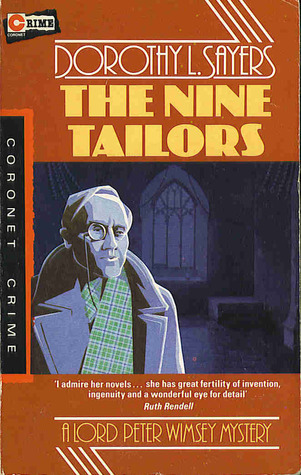 Sayers’ book rightly deserves plaudits for being a classic crime fiction tale, ticking all the key boxes - intriguing and clever plot, a thorny puzzle, excellent contextualisation, nice characterisation and interaction between characters, a strong sense of place, and literary prose. Essentially the tale is a whodunnit set in a small English village in the fens, centred on a Church and its bells, and the legacy of a robbery some twenty years previously. The plotting is intricate and well executed with minimal use of plot devices, and while the tale strays a little from social realism at times it nevertheless hangs together coherently and is rounded off with an ingenious but plausible denouement. 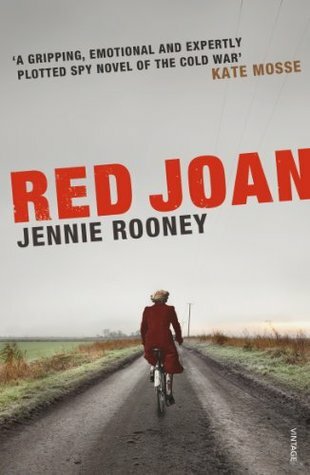 An engaging and thought provoking traitor’s tale, Red Joan tells the story of a woman recruited at university by the Soviets who went on to become a leading spy at an atomic research centre and her subsequent interrogation many years later. The narrative structure works very well, aided expressive prose, nicely crafted characterisation, and a carefully constructed plot. A particular strength of the story is how Rooney unsettles any straightforward black and white reading of being a traitor, providing a layered, nuanced and poignant account that gradually exposes a long held secret and its consequences, and explores themes of motive, ideology, conscience, guilt, regret, and protection. Set in the closing stages of the Second World War, McCallin has his German detective, Reinhardt, conduct a murder investigation in Sarajevo. 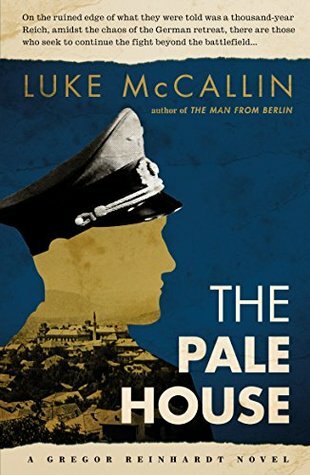 He weaves a clever, compelling and somewhat complex plot, nicely capturing the fear at work in the city, the tension within the German ranks and between them and their Croatian collaborators. Reinhardt is a somewhat sombre character, but his principles and role as a flawed but ‘good German’ in a corrupt regime makes him an interesting anti-hero. I particularly liked the very strong sense of place and historical context. 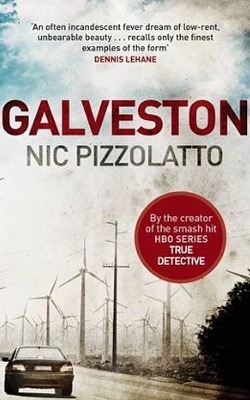 Overall, an excellent historical crime tale. It’s easy to understand how some readers might get frustrated with William Gibson’s writing style. In The Peripheral he uses a raft of made-up slang and neologisms, new cultural norms and invented technologies without ever explaining them. He just plunges the reader into the narrative. The result however is worth the disorientation. 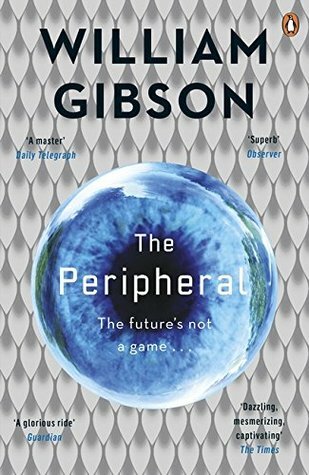 The plot is ingenious and nicely constructed, with Gibson exploring the unfolding arc of history and the interplay of politics and technology, and speculating on the fate of humanity. These books all received 4.5 stars and make-up the rest of my 'best of' list for 2015. I've spent a chunk of the seasonal break revising the latest novel in progress. I did some fairly major surgery based on a couple of very useful readers' reports, removing 11,500 words, adding 5,500 and revising another chunk. The edits have certainly improved the story and I think it's in a pretty reasonable form. I guess the next step is to start hawking it around. I know exactly what I'm doing at this stage for non-fiction work, but how the fiction side of publishing works is still a bit of mystery to me. Wish me luck - I have a feeling that's a vital part of it! I was nine when I killed for the first time. I stabbed a man in the chest with a kitchen knife while he slept. An hour earlier he’d beaten my mother unconscious. I made a full confession, but my mother made a counter-one and was convicted. I was sent to my grandparents. Fifteen months later my grandfather died of asphyxiation. It seems that a belt can be used for more than whipping young boys. I then disappeared into the night. The third man I killed thought he could sell my body to a rich man. I’ve killed five times since. After a slow month of reading in November, I over-indulged in December reading and reviewing 12 books. 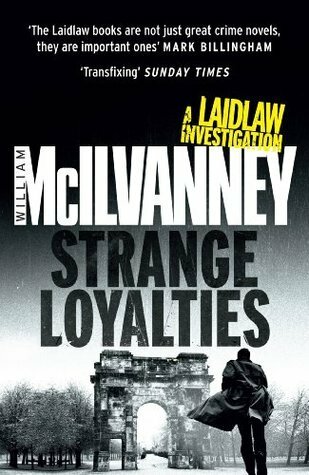 The standout was Strange Loyalties by William McIlvanney, the third instalment in his Laidlaw trilogy.